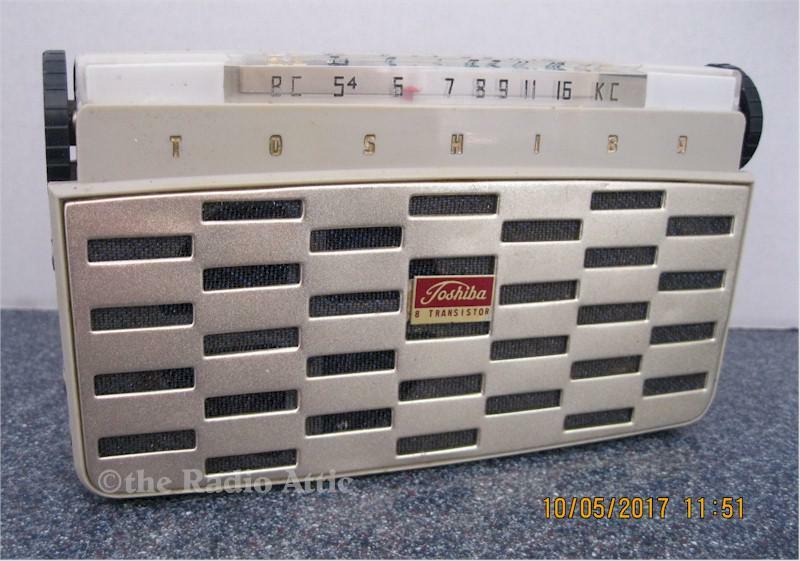 Vintage 1959 Toshiba eight-transistor AM radio, restored to working order with brand new electrolytic capacitors. Retuned I.F.'s. Audio is clear, and goes to full volume. There is one crack in the top left clear part of the tuning area. The crack does not go through. The rest of the radio is fine. This radio requires four "AA" batteries (not included). The leather case is included. Add $13 for domestic shipping. You are visitor number 1,066 to this page.